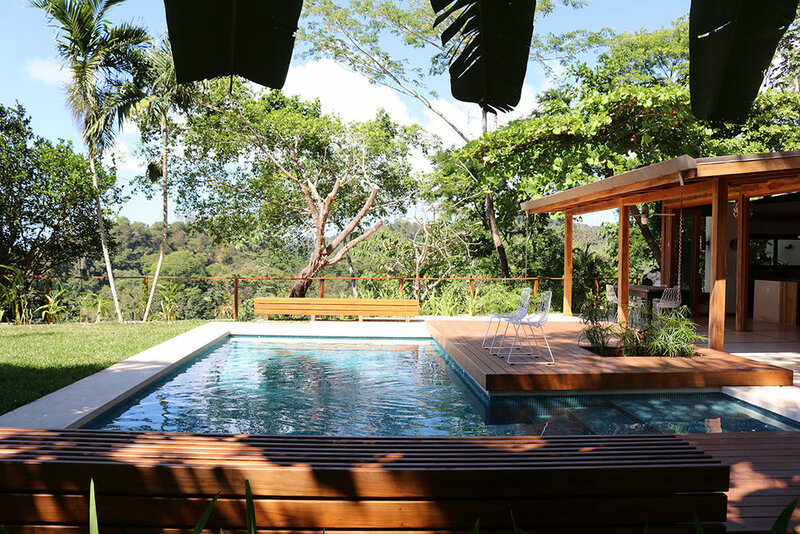 The landscape design and the restoration of a simple house located in a paradisiacal environment was approached by incorporating new endemic vegetation and locally available materials, wood from the area, locally manufactured tiles, and hand finishes by native workers. The project thus offers the duality of a pristine environment combined with contemporary comfort. 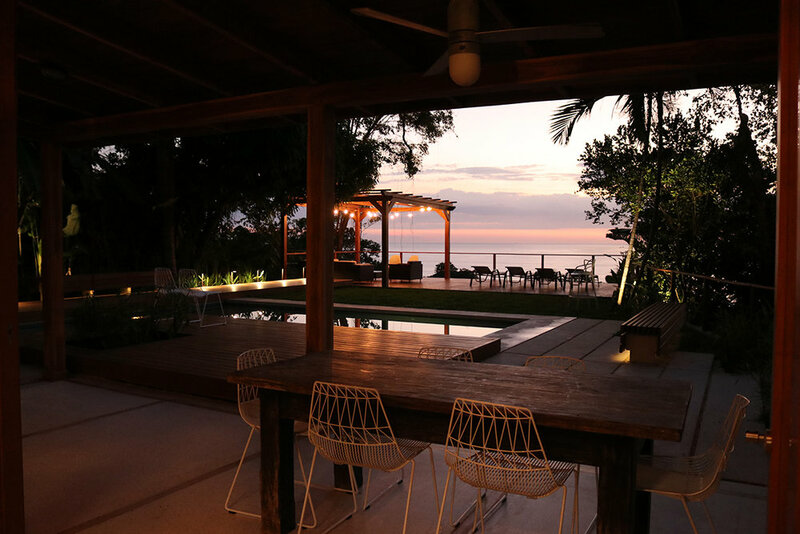 For the exterior the plan was to articulate the original loosely separated elements, such as the pool and gazebo, with the main approaches to the house, at the same time showcasing the impressive view of the Pacific Ocean. 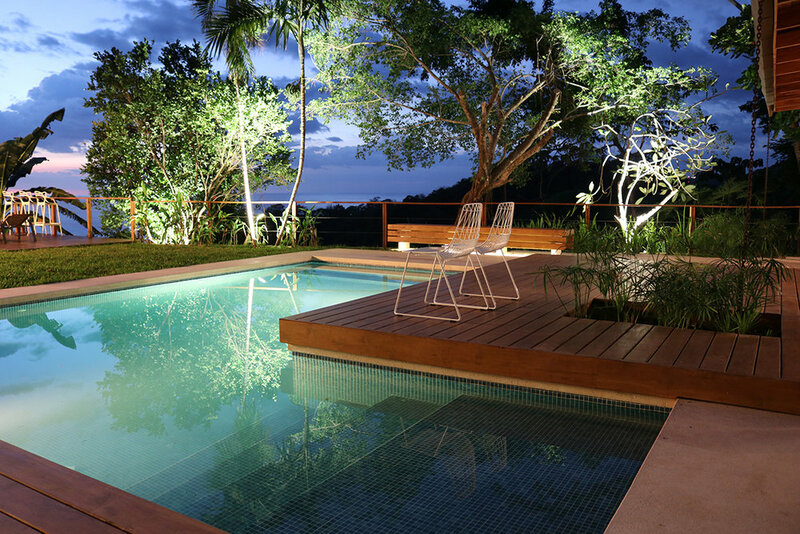 Decks and teakwood benches, along with custom-built concrete paths, were combined with a careful selection of exuberant local vegetation that does not require special care or excessive watering. The new wooden benches, conceived as functional sculptural elements, reinforce and enliven the pass-through areas and areas for relaxation. Together these coordinated actions created an exuberant and casual environment, in harmony with the surrounding tropical jungle. The reduced palette of exterior materials was maintained in the interior, to create a discrete habitat that is complimented by the new furnishings. The kitchen’s large central island with different finishes: stucco lucido towards the work area and wood towards the living room, was conceived as a major new element encouraging social interactions. 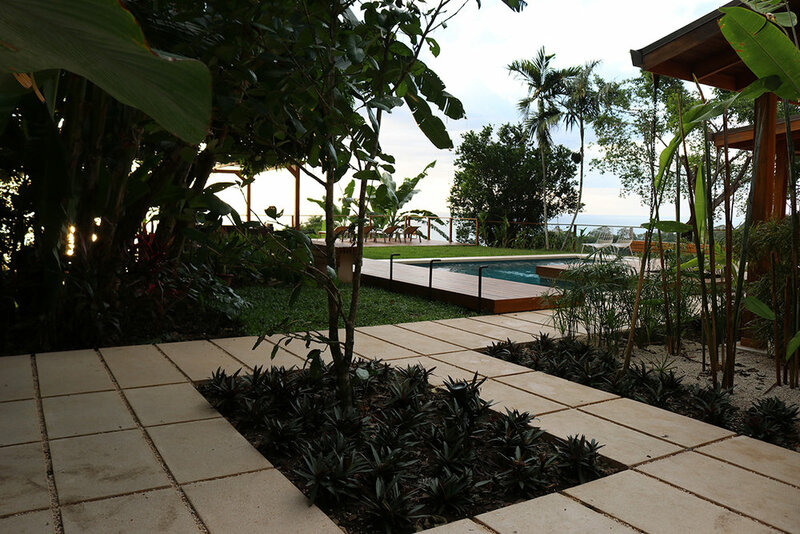 The service areas were enlivened by providing a small internal patio planted with native vegetation, which allows enjoyment of the plantings even from inside the bathrooms. An attractive geometric composition on the floors and walls, consisting of locally made concrete tiles, vitalizes the service spaces. The design of the wood frames and cabinets helps to consolidate a warm and contemporary environment.